Experience the best of Wanderlust right downtown! Introducing our 2-Day City Festival, an accessible reimagining of our signature mountaintop events. Tickets are on-sale now! For more information and to purchase, click here. You asked, we listened. 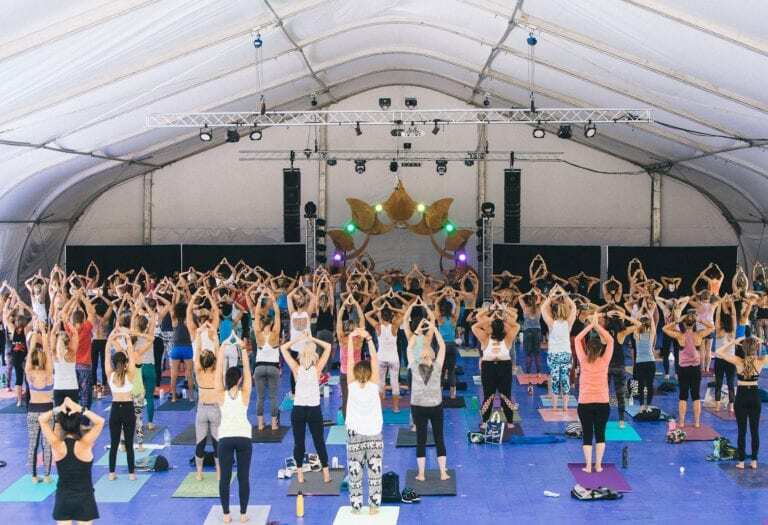 We know it can be tough to get to a 4-day retreat Festival, and maybe you’ve done several Wanderlust 108s and are ready to take your relationship with the global mindful movement to the next level. In 2019, we’re proud to introduce our new 2-day city Festival—everything you love about our mountaintop events, but in a city park. So what’s a 2-day city Festival all about, and why should you go? Read on. Just like at your local studio, you can now pick and choose from an array of classes and activities. Each is just $26.08 (which includes a $1.08 donation to the (RED) Global Fund to Fight AIDS), and feature the caliber of teachers and wisdom you’ve come to expect from Wanderlust. From world-renowned teachers sharing all styles and levels of yoga to bonus activities that expand your body’s capabilities and speakers that expand your mind, there’s no yoga programming like Wanderlust’s yoga programming. 2-day city Festivals will boast the same caliber of impressive lineups as our mountaintop destination Festivals, and similar activities to choose from. We’re talking two huge yoga tents for headliners, in addition to a fitness venue specifically for HIIT, mat pilates, and dance cardio. Our signature Speakeasy is back! Featuring a lineup of wellness leaders who share their wisdom through the lens of practice and mindful living, Speakeasies give you an opportunity to learn from leaders who will inspire, elevate, and encourage. When you’re ready to integrate what you’ve learned and give your body a rest, sit down and get quiet in our meditation tent. Guided by teachers who are adept at helping you find your zen no matter where you are in your meditation journey, a 2-day city Festival is a great place to deepen, explore, or begin a personal practice. With a ticket purchase, you’ll be able to schedule up to three (3) classes AND a Speakeasy. With tarot readings, hooping, body-rolling, meditation, and soundbaths, our 2-day city Festivals are urban retreats that offer mindfulness beyond the mat. Sample all sorts of wellness activities in one place, and learn what inspires you. Just like our signature transformational destination Festivals, these new 2-day events offer wellness classes beyond movement. It’s your chance for a transformation staycation. Want more information? Stay tuned, or reach out to support@wanderlust.com for more. See you on the mat!